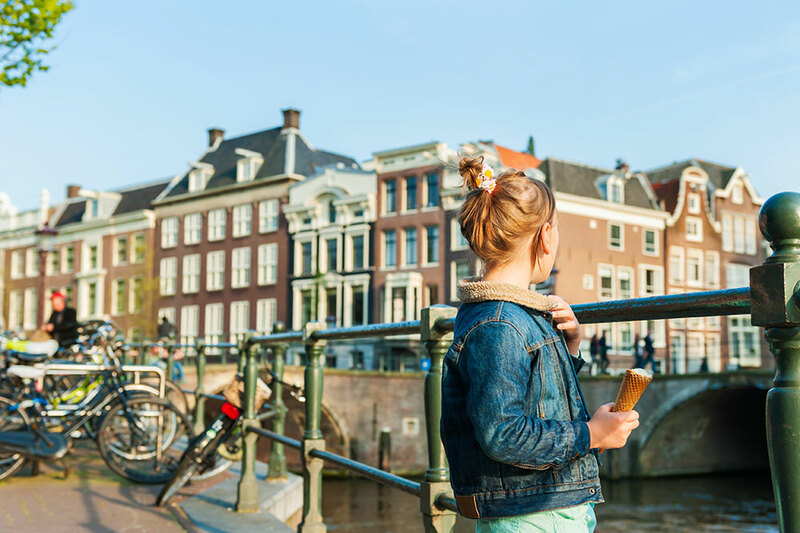 Famous for its red-light district and coffee shops, Amsterdam may not seem like a natural choice for a family vacation, but done right, it can be. Inspiration to visit the city came from an unlikely source: Nickelodeon. My 10-year-old son is a fan of the network’s “Hunter Street,” which is like a “Da Vinci Code” for tweens filmed in Amsterdam. The characters race around the city on bikes, exploring everything from lavish canal-side homes to the medieval Amsterdam Castle Muiderslot. My son fell in love with what he saw and asked if we could visit one day. 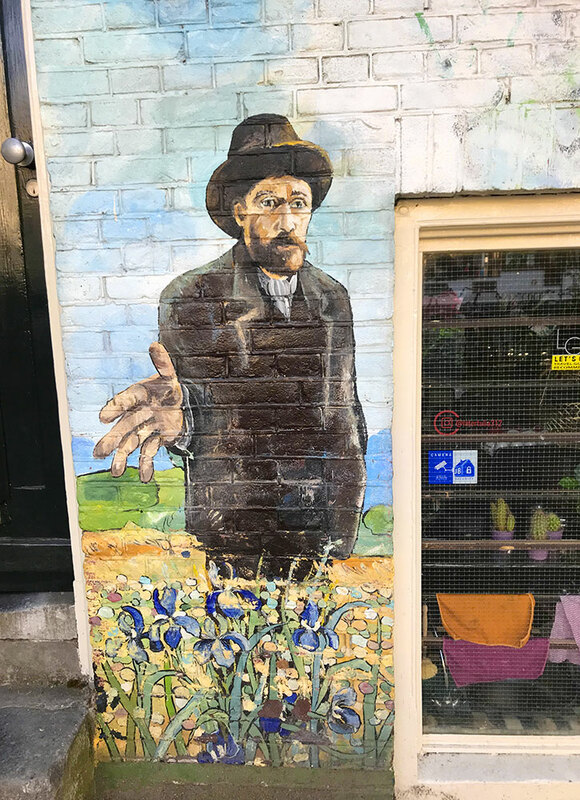 Although I had been there before having children, I started to look into Amsterdam again and realized it would be perfect for a child-friendly getaway. The city feels both alien and magical to kids visiting it for the first time, thanks to its mix of houseboats, impossibly narrow (and crooked) townhomes and its favorite mode of transportation, bikes. (Children will love seeing entire families getting around on bakfiets, or cargo bikes fitted with a box that can hold three kids.) 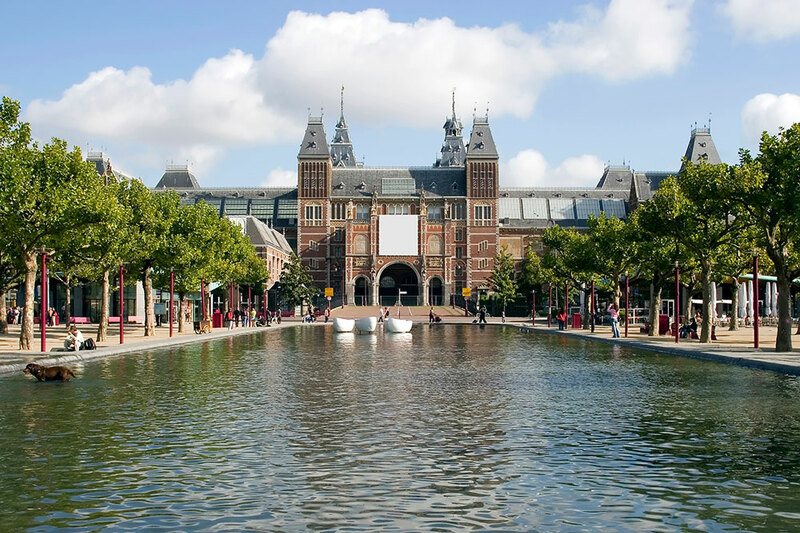 Beyond the visible charms, Amsterdam is packed with more than 75 museums, many of which are geared for kids, so there’s no shortage of things to do. It is also compact enough to get around easily on foot, tram or bike, and the educational experiences can be offset by playgrounds, farms and castles. Add some pannekoeken (Dutch pancakes) and kaas (cheese) — all in a laid-back atmosphere — and you have a winning combination for kids. 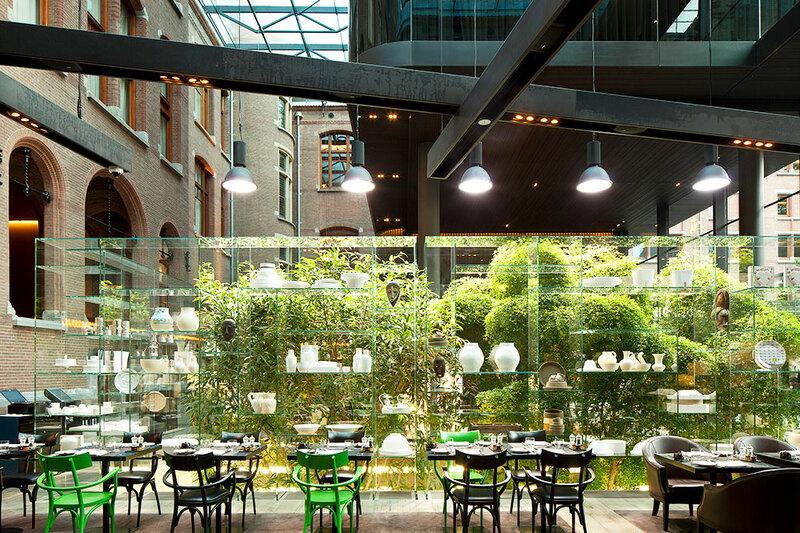 Wake up in the Hideaway Report-recommended Conservatorium hotel, located adjacent to Museum Square and down the street from the Rijksmuseum (Museumstraat 1). Parents will appreciate the stylish design while smaller guests will be excited about the pool and proximity to the playgrounds of Vondelpark. Brave souls can hop on a complimentary bike and join the throng of traffic to cycle for a pancake breakfast. A word of warning: Riders who hesitate or don’t know where they’re going will not be thanked by the morning commuters. If you’re not cycling, take the tram to PANCAKES Amsterdam (Berenstraat 38) a solid choice serving Dutch- and American-style pancakes using flour from a local mill in a bright, compact space. The Dutch version is like a thin crepe and can be served with sweet or savory toppings, including local cheese, apples or sugar. Another option is an all-you-can-eat pancake cruise aboard the Pannenkoekenboot, or Pancake Boat. Pop by the nearby Houseboat Museum (Prinsengracht 296 K) to see what it’s like to live on a canal. 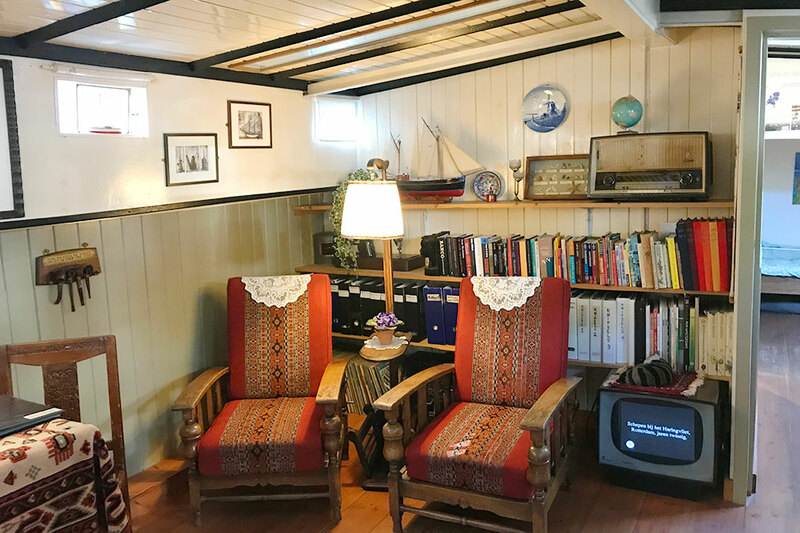 The former freighter turned houseboat features compact quarters, including a woodburning stove and cozy sleeping berth. Or just pause on the deck to soak in the sights on the canal. Older children may prefer the National Maritime Museum (Kattenburgerplein 1), a former naval warehouse that is packed with interactive exhibits such as a replica of a Dutch East India Company ship. 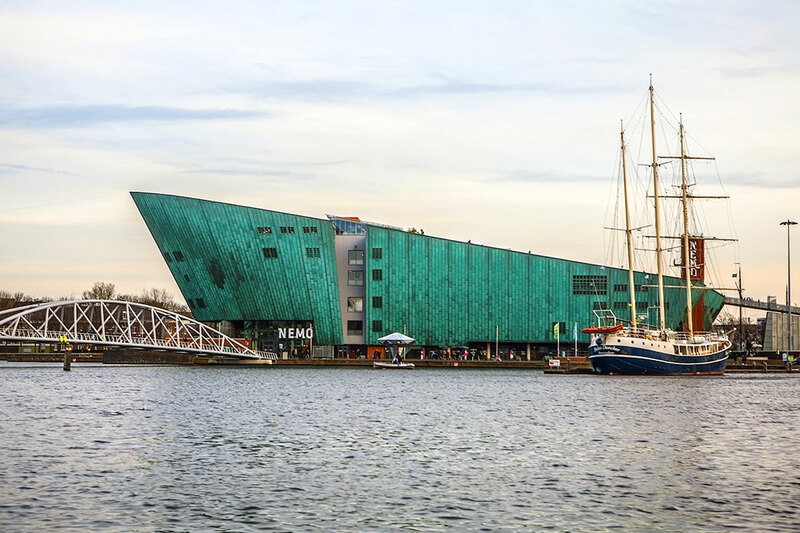 Just across the water from the National Maritime Museum is the NEMO (Oosterdok 2), a Renzo Piano-designed science museum shaped like a ship’s hull. During the warmer months, the outdoor terrace doubles as a splash park and is also home to the museum’s café, offering panoramic city views. Plan on an alfresco lunch here, surrounded by olive and lavender trees. 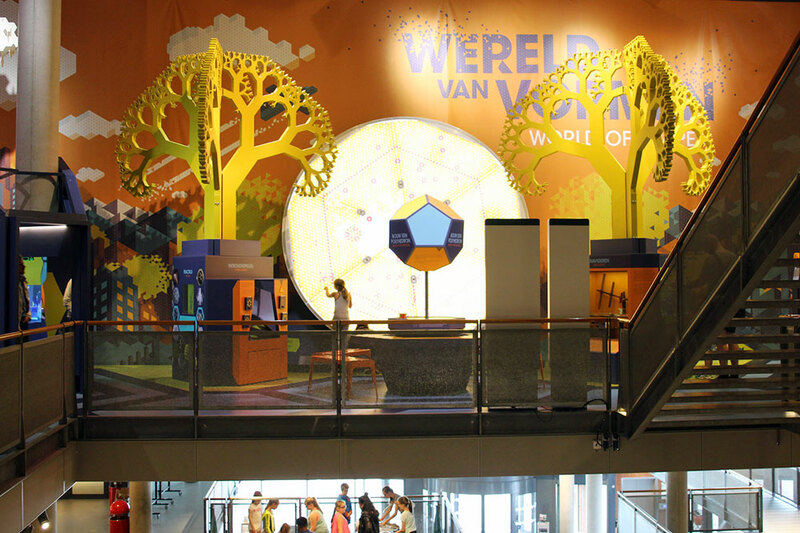 The hands-on exhibits in this five-story building range from the Wonder Lab, where kids can examine objects under a microscope, to Energize, where visitors capture energy from wind and water. This being Amsterdam, there’s also an exhibit for teens on their changing bodies. 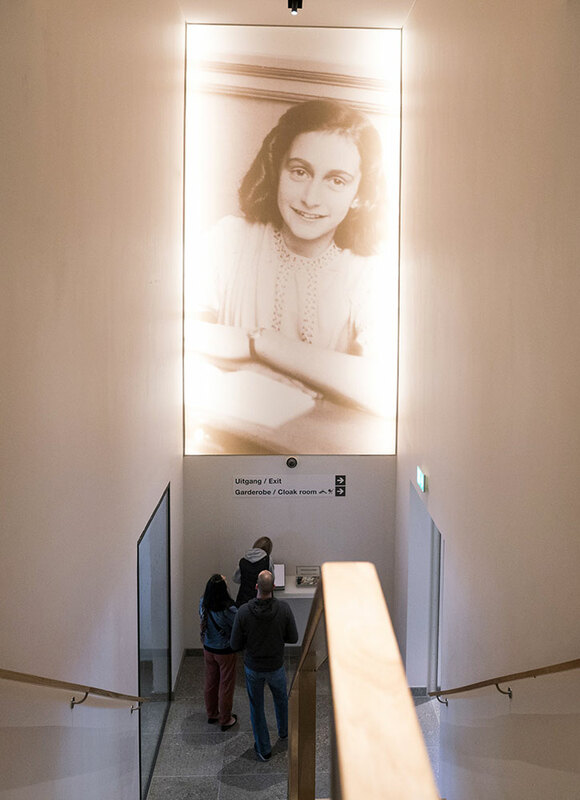 Head back on the tram to Old Town to see the Anne Frank House (Prinsengracht 263-267), a solemn but important part of any trip to the city. 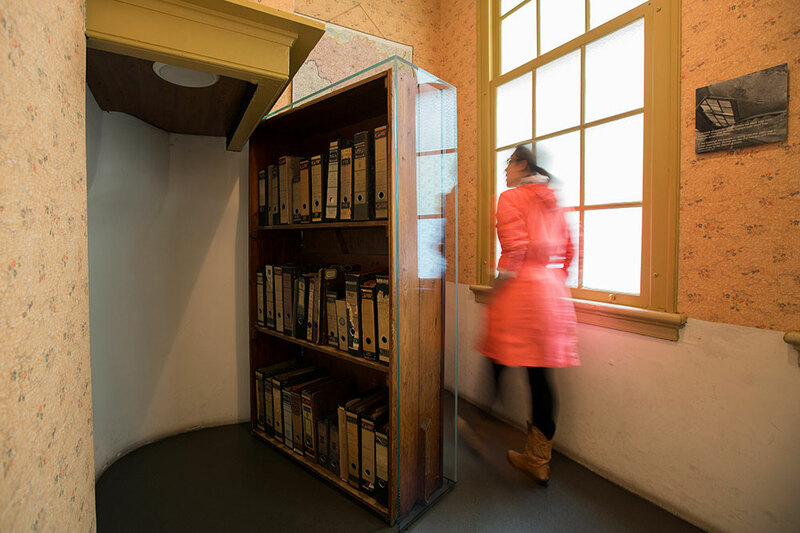 Visitors can view the secret annex where the Frank family hid during World War II, as well as Frank’s diary. The museum (Westermarkt 20) is best suited for children ages 8 and up. Entry is by timed reservation only. Right across the canal is the Amsterdam Cheese Museum (Prinsengracht 112). 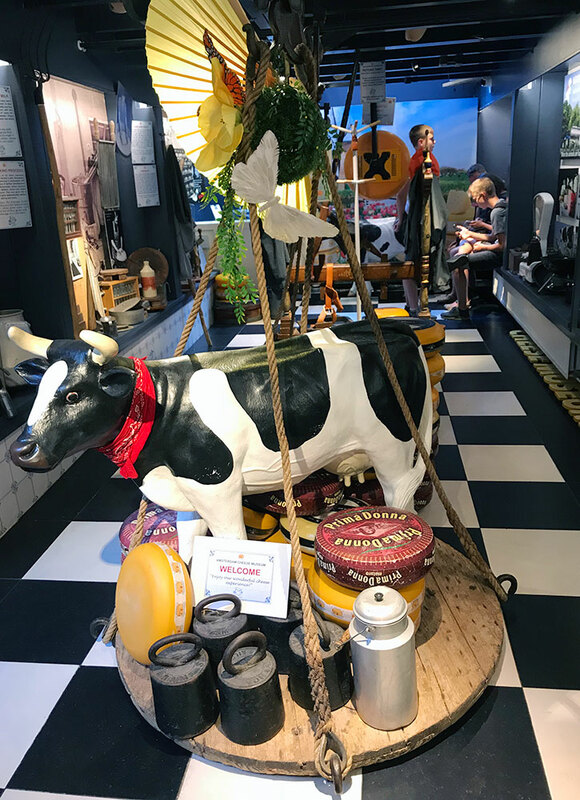 It's more of a retail store, but its lower-level exhibition area explains the history and process of traditional cheese making. There’s also an area where kids can dress up like a Dutch farmer. 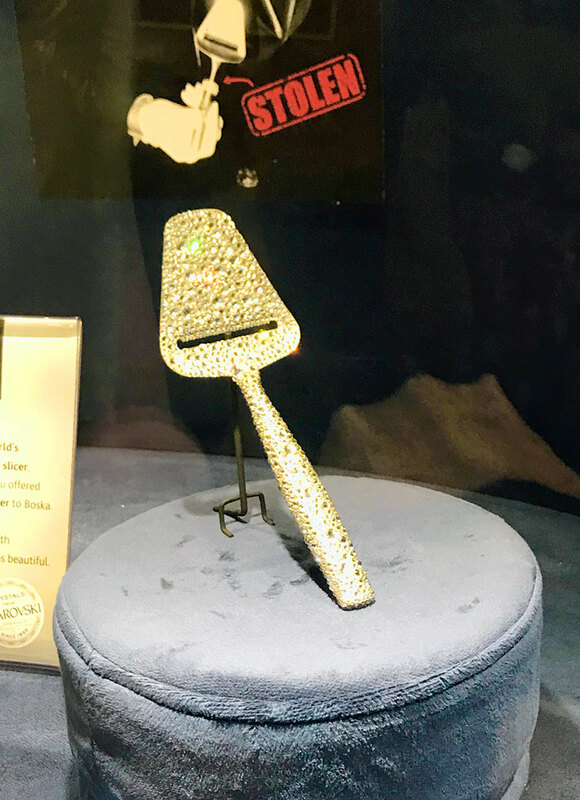 Take a peek at the Swarovski crystal-encrusted cheese slicer, said to be the most expensive in the world, and enjoy a sampling of cheese, including gouda and mature goat cheese. If you’d prefer a sweet treat after your savory one, head to nearby Chocolatl (Hazenstraat 25-A), a jewel box of a store that sells single-origin estate chocolate. The friendly staff will walk you through a tasting and let you sample cacao pulp. 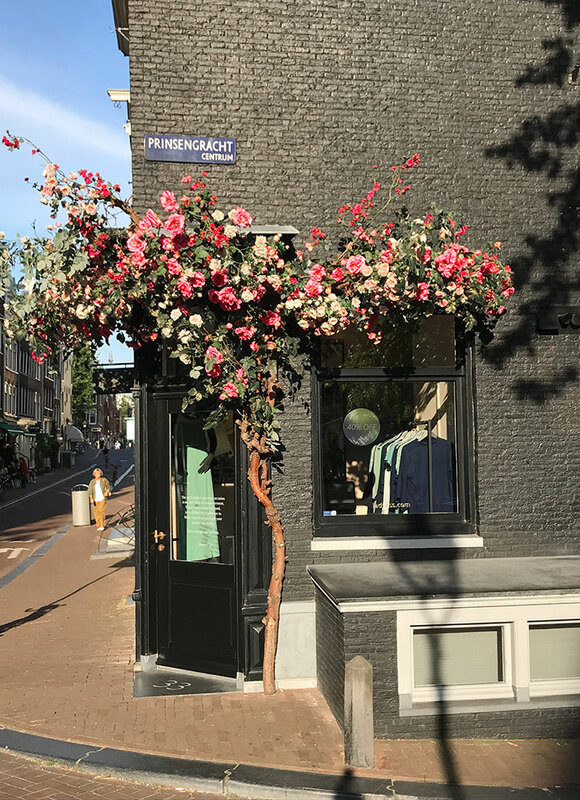 Or try IJscuypje (Prinsengracht 292), part of a Dutch mini-chain known for using fresh, local ingredients in its ice cream and sorbet. Flavors range from simple classics such as chocolate and pistachio to more-adventurous combinations such as walnut-and-fig. 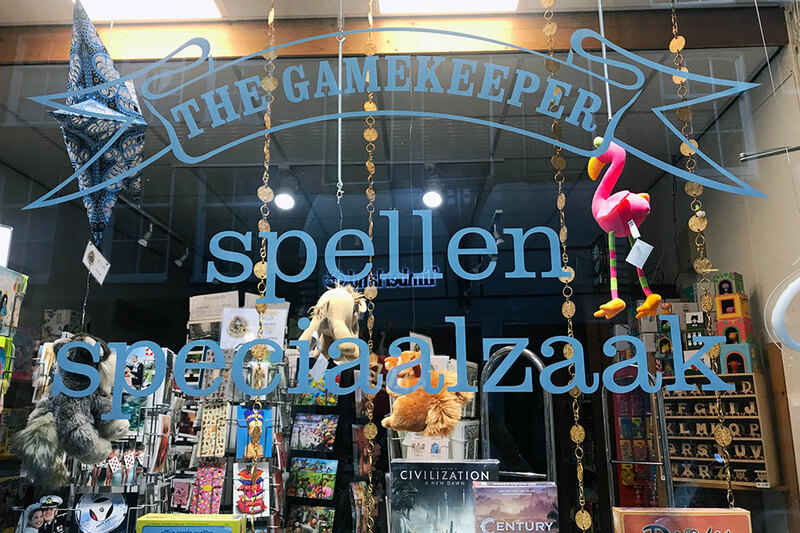 This area, the Nine Streets neighborhood, is famous for its independent boutiques and has two toy stores worth a visit: De Kleine Eland (Elandsgracht 58) is stocked with old-fashioned wooden toys and music boxes, while The Gamekeeper (Hartenstraat 14) sells board games and windmill-building sets. 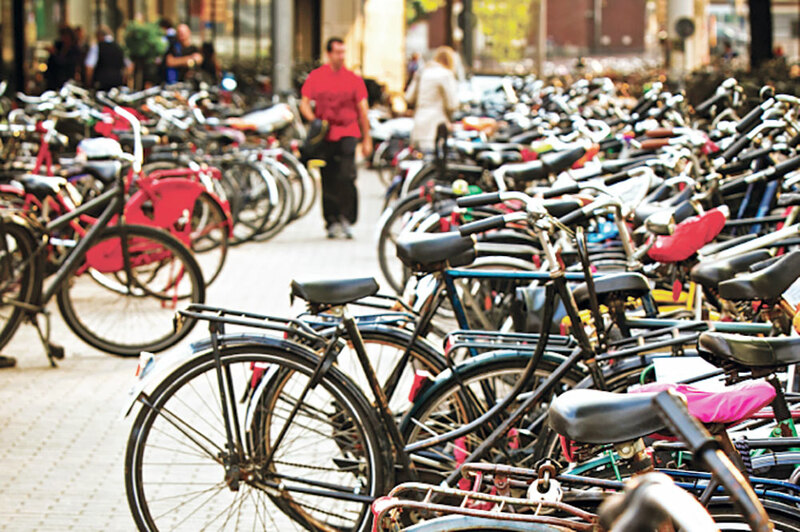 To blow off steam, head to Vondelpark. As the largest park in the city, it’s packed with cafés, restaurants, an in-line skate-rental shop and multiple playgrounds that feature elaborate climbing structures, forts and sandboxes. Want to go further afield? Consider the Geitenboerderij Ridammerhoeve (Nieuwe Meerlaan 4), a biodynamic goat farm on the southern edge of the city that is reachable by a 30-minute cycle or 20-minute taxi. Visitors can help feed baby goats and observe cows, chickens and pigs in open stables. On weekends there’s even yoga with goats. After your excursion, head back to the hotel for some downtime before going out for an early dinner. If you are craving Asian food and can muster the energy to hop on a tram, try Nooch (Reestraat 11). The tiny restaurant features a fusion of Chinese-Thai-Japanese-Indonesian food, and although the décor is sophisticated, it’s also relaxed. Yuzu-based cocktails are served in crystal tumblers, and the menu includes classics, such as dim sum and spring rolls, but the kitchen will also whip up steaming bowls of plain ramen for picky eaters. Too tired to travel? Have dinner at the Conservatorium’s Brasserie & Lounge. The space is dramatic, with floor-to-ceiling windows and an abundance of greenery. The streamlined menu features lobster gnocchi and licorice-braised veal cheek. Dishes more suitable for children’s palates include a hamburger and tenderloin steak. 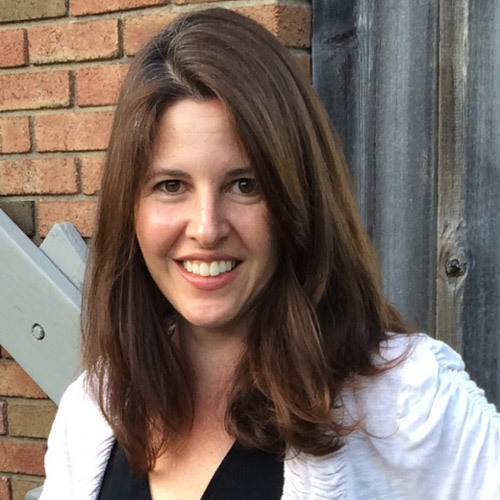 By Christina Valhouli Hideaway Report Contributor Christina Valhouli has written for The New York Times, The Wall Street Journal, Fodor’s and Fortune.com. She is a graduate of the Columbia University School of Journalism and lives in the New York area.